This recipe is over 2 years old! I stumbled upon it accidentally while trying to search for another recipe. Paneer is a favourite amongst many of us. Those who cannot eat it due to health reasons can find an excellent substitute using tofu. This was one of my creations. my VERRY OWN CREATION!!! if you dont like mushrooms you can substitute them…. melt the butter in a karahi or a wok and add the whole spices… sautee for a few seconds and then add the onions, ginger garlic and salt. cook covered till onions soften (do not let them brown). add the chopped tomatoes and the saffron and let it all cook till tomatoes are smashed. blend it in the blender with the sugar. add chilli flakes to taste and check seasoning. heat some more butter in the karahi and sautee the mushrooms till softened. 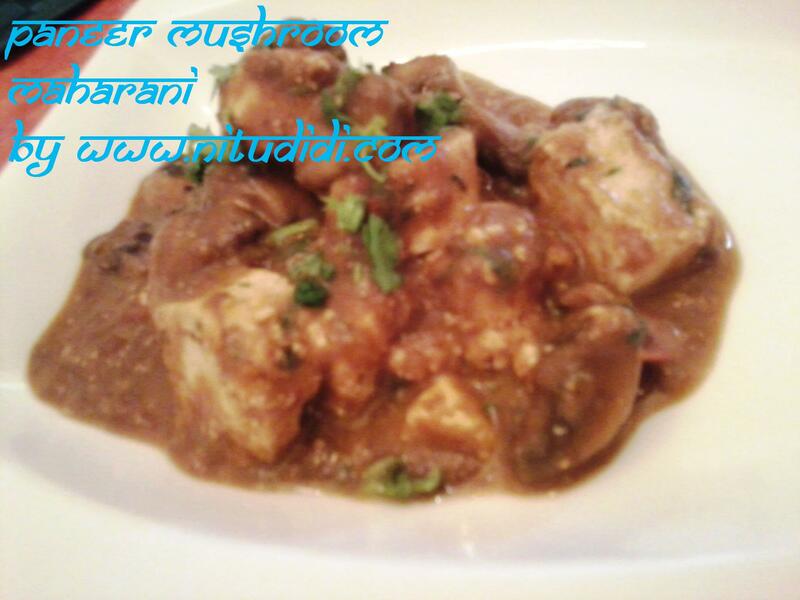 add the blended sauce and the paneer….cook for a few minutes and then add the splash of cream if u wish. This entry was posted in Everything Vegetarian, Gluten Free, Paneer, Saffron and tagged paneer, saffron, vegetarian. Bookmark the permalink.